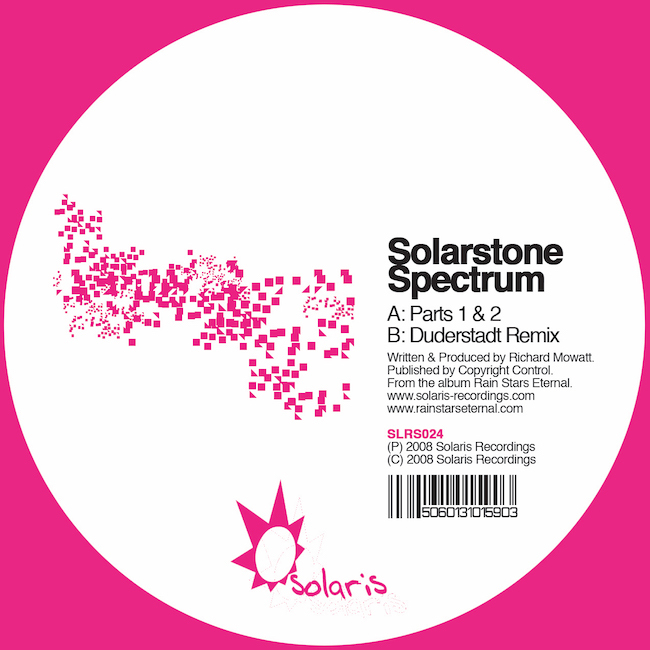 Solarstone - Spectrum - Solarstone. With both the ‘Rain Stars Eternal’ album and single now released and racking up great big reactions all over, it’s time to set loose another ‘RSE’ monster! Those familiar with the album version of ‘Spectrum’ well, get ready for a big surprise! This new ‘Parts 1 +2’ club version organically expands the original into an epic (and not a word we use lightly here!)speaker-saviour! Shifting into a whole new direction by Rich, it fills every second of its 10 minutes with warping, sweeping tom-tom driven loveliness! First up on the ‘Spectrum’ remaps, we have those mightily on-fire Duderstadt brothers. Dirk & Marco have completed a rock-hard electro-lined treatment that has been popping out of Ferry Corsten’s speaker cones worldwide over the last month. And tying things up on the package is South American prog-electro maestro Santiago Nino, whipping together one of his percussion-heavy versions to keep the more deeply minded of you happy.